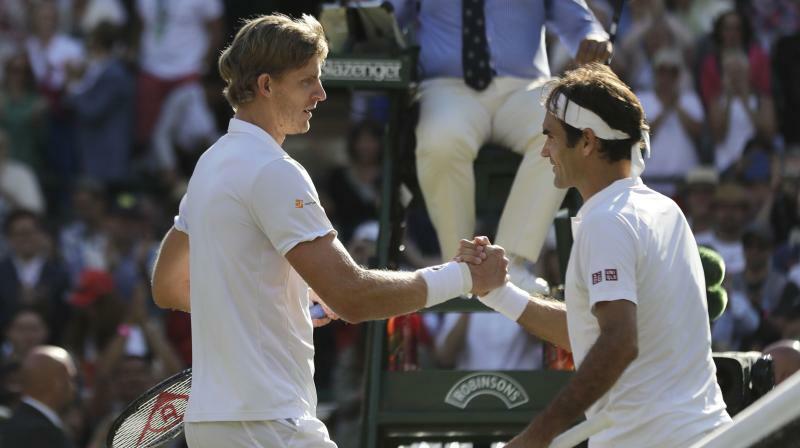 London: Eight-time champion Roger Federer was sensationally knocked out of Wimbledon on Wednesday, surrendering a two-sets lead and a match point at the hands of South African giant Kevin Anderson. "I think it went in spells a bit also, how I was able to return his serve. I had moments where I was great, I felt like I was reading his serve, other moments where I don't know where the hell I was moving to." The 12-time Slam champion will face either world number one Rafael Nadal or Juan Martin del Potro for a place in the final. Despite his anger -- and picking up a time violation in the fourth set -- 12th seed Djokovic still reeled off 10 of the last 12 games. "Well, maybe wasn't my best, but I thought I was playing good enough," said Nishikori. "But he was making me run all the time. Especially with his backhand, he can go both ways. That gave me real trouble."